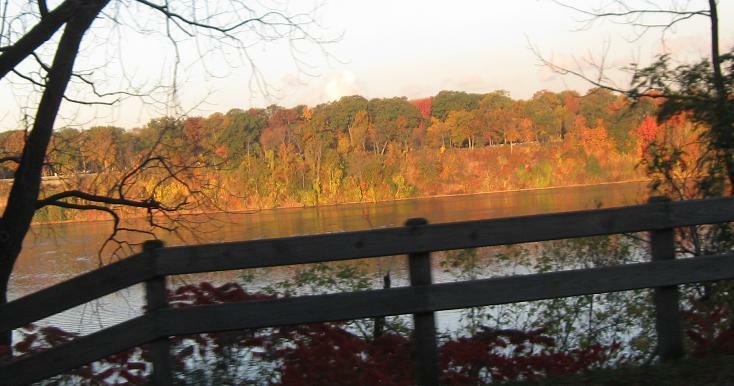 Ontario in the autumn across the Niagara River. The NB face of this 1936 sign at Swain Rd. 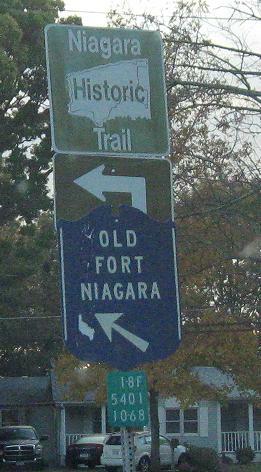 NY 18F NB leaves the waterfront at Jackson St., the southern entrance to Fort Niagara. The northern entrance is the spur from the Robert Moses State Pkwy.. NY 18F is the last survivor of the six NY 18 spurs, hence the seemingly out-of-place lettering. 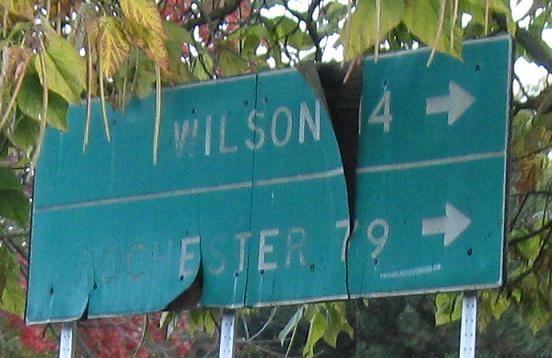 Wilson and Rochester are both on 18, which may be because NY 18F was once the mainline of 18. 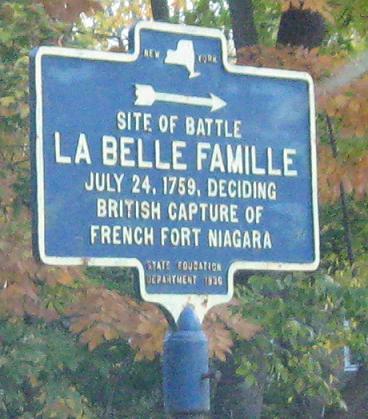 That arrangement ended by 1950, though, before green signs were in use (even wooden ones). 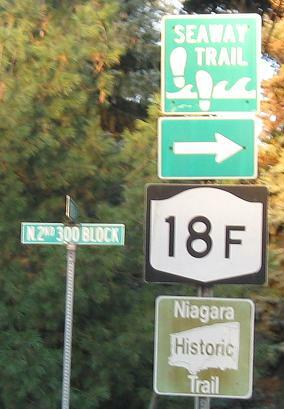 NY 18F turns again two blocks later onto Lake St. with a rare old historical sign.